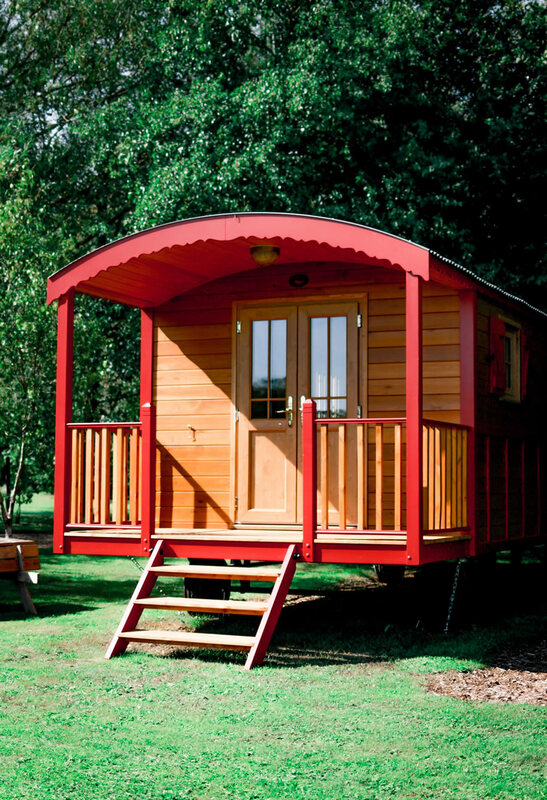 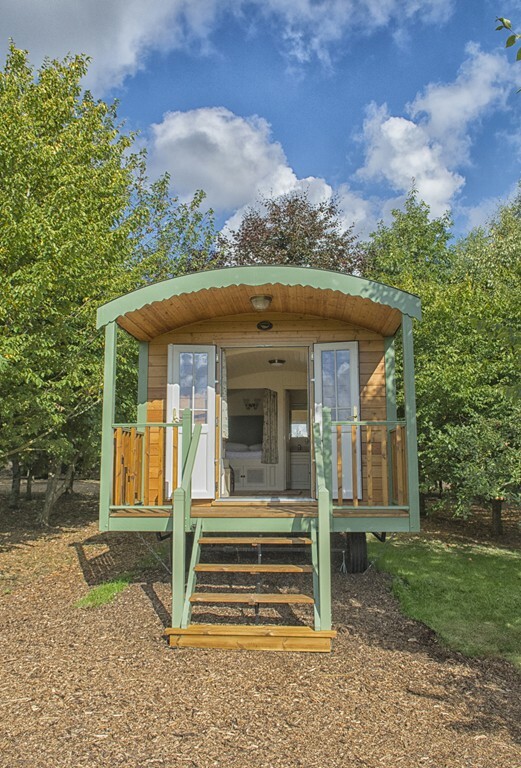 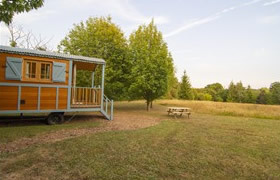 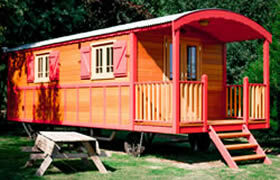 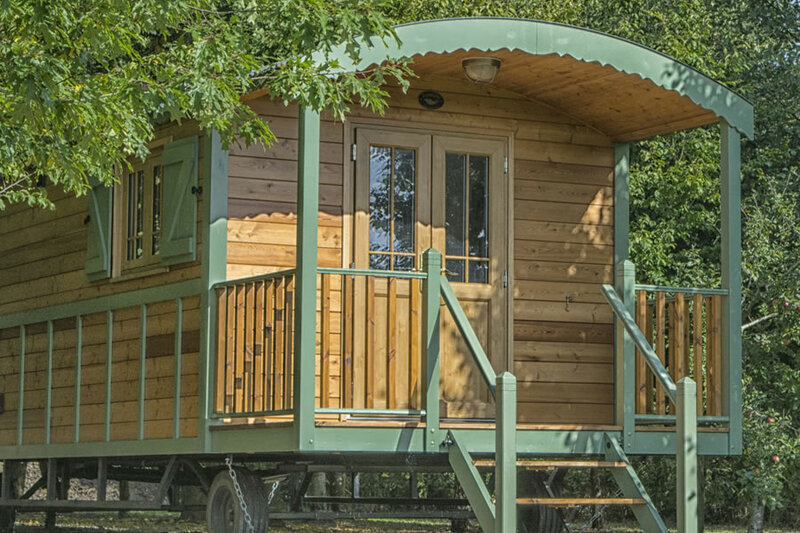 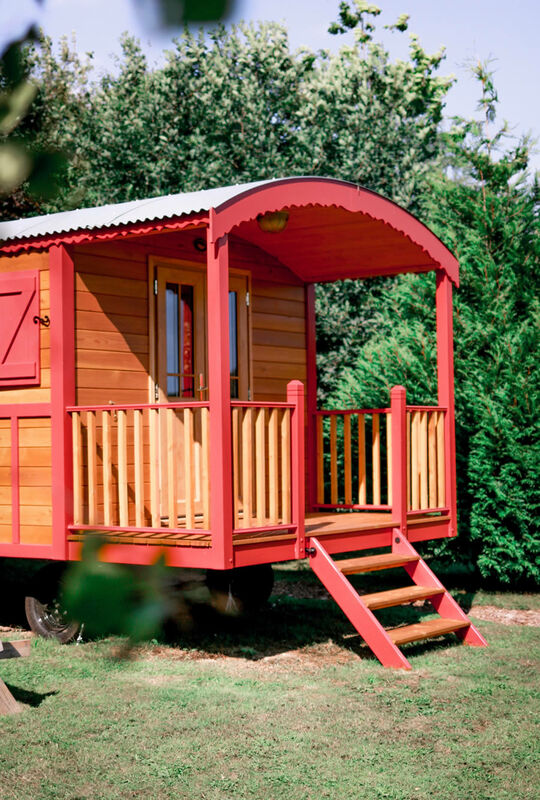 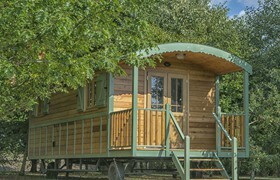 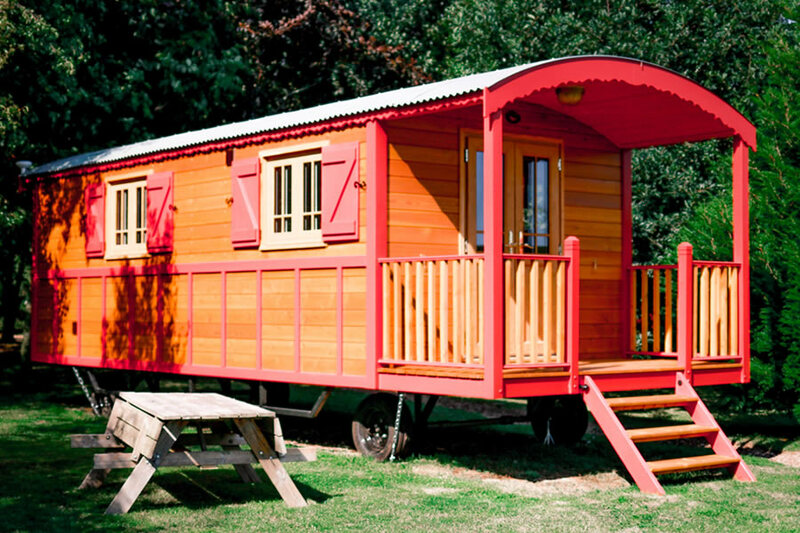 Our three, large, ' La Grande Roulette' French Gypsy Caravans offer luxury accommodation set in two acres of beautiful wildflower meadow, teeming with native birds and wildlife. 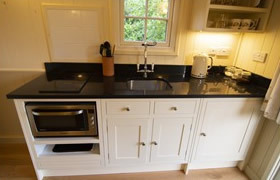 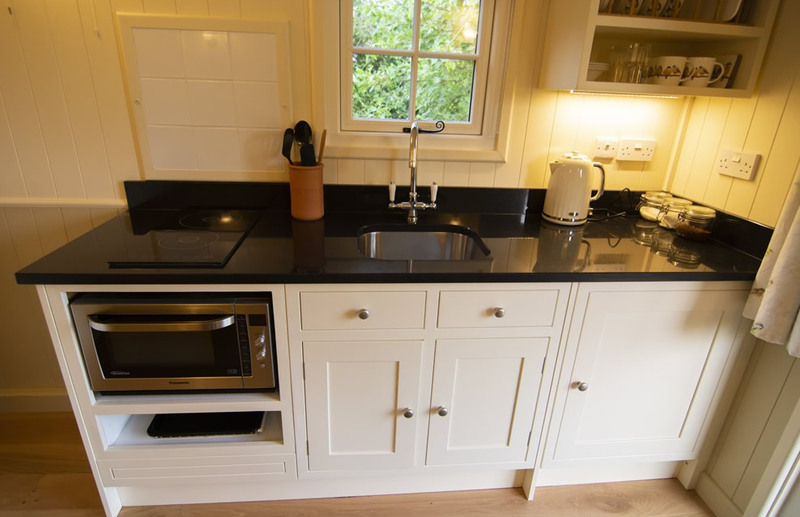 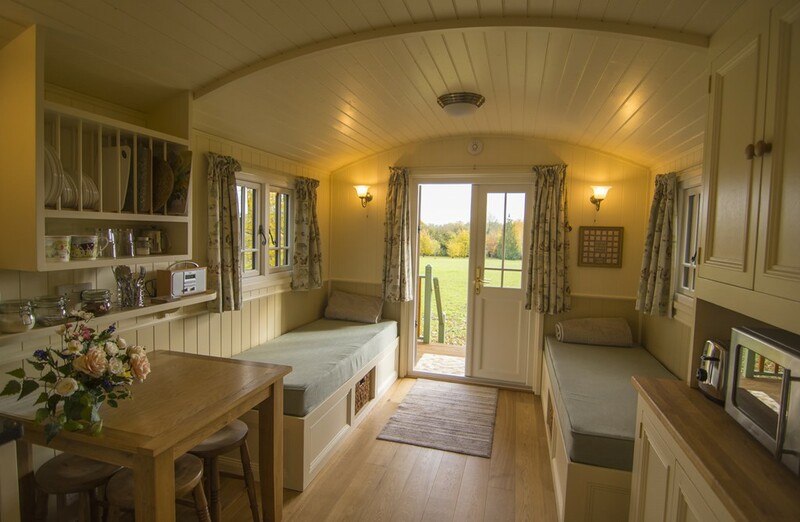 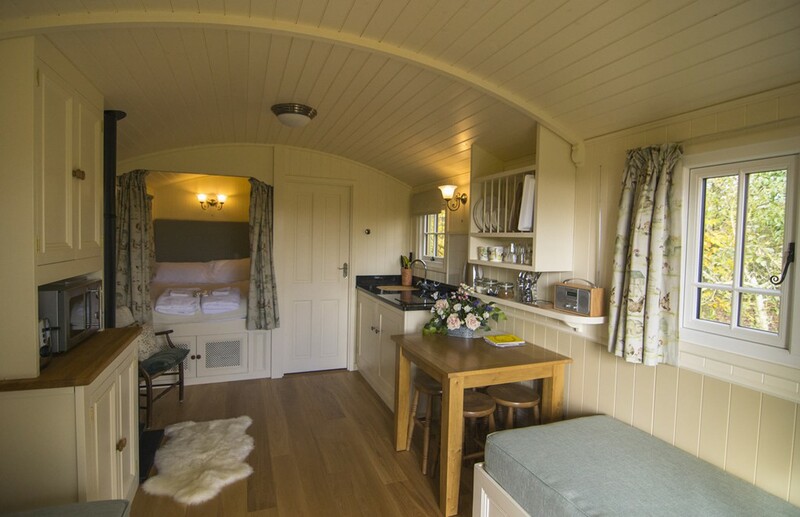 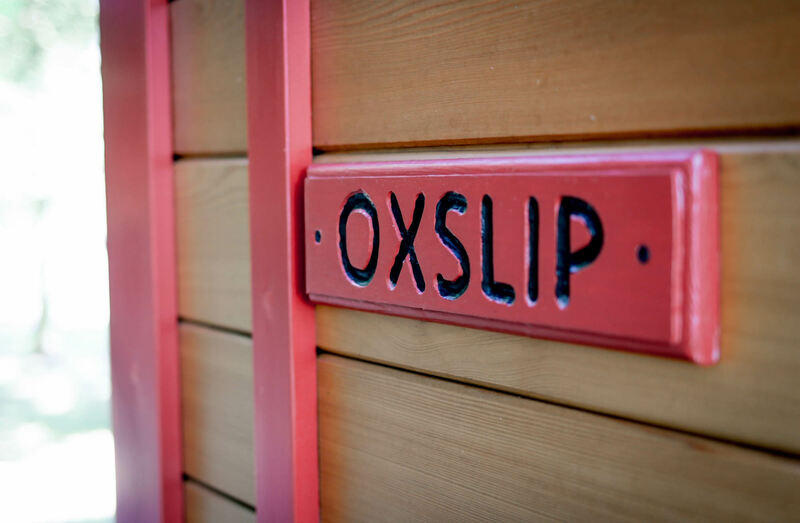 The Caravans are constructed to an outstanding level of detail and craftsmanship from sustainable timber and energy efficient materials, like the sheep's wool insulation. 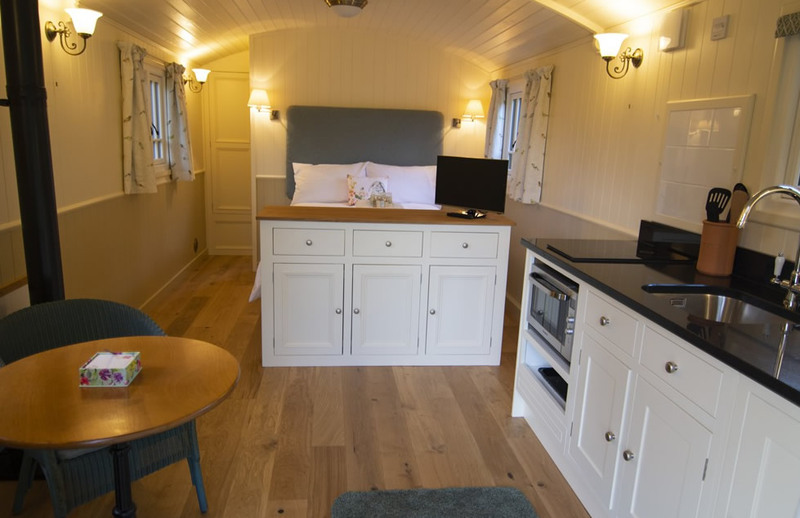 The gorgeous open plan living area has a well equipped kitchenette with a full-size under counter fridge, cooking hob, sink and microwave oven. 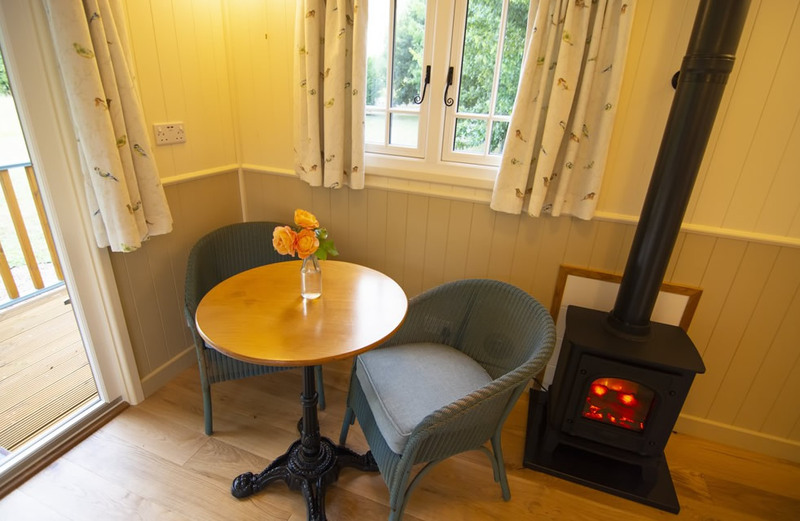 Traditional French doors with shutters and three, double opening windows let in plenty of natural daylight, while the period light fittings and realistic log-effect stove ensure blissfully cosy evenings. There is also a flat screen TV and DAB radio. 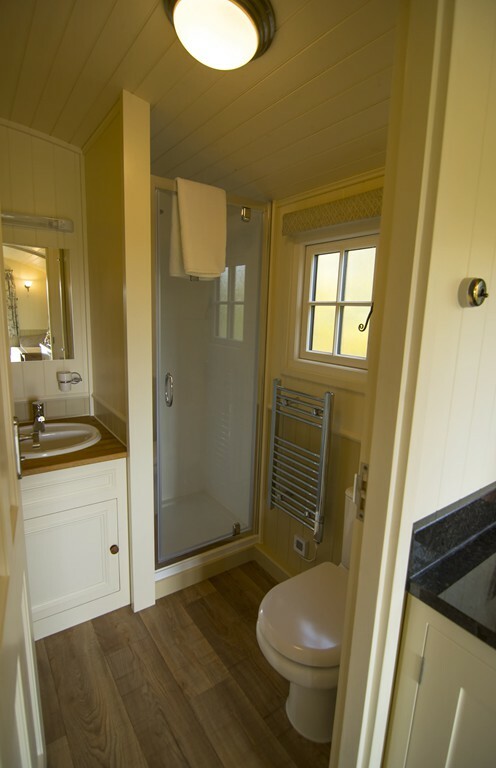 Each Caravan has its own shower room with shower, sink and toilet. 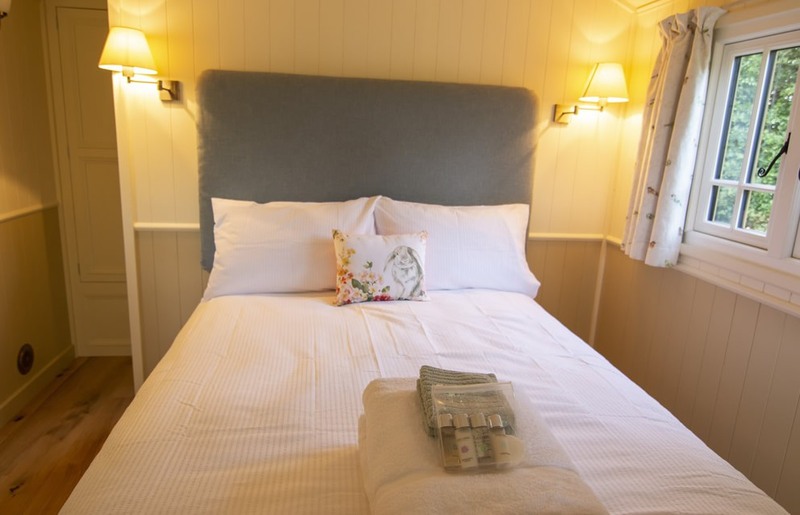 Luxury towels and bed linen are provided. 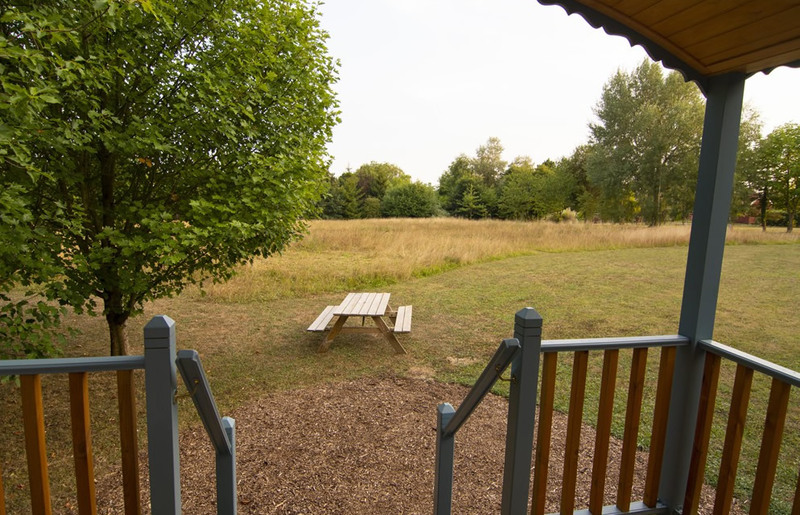 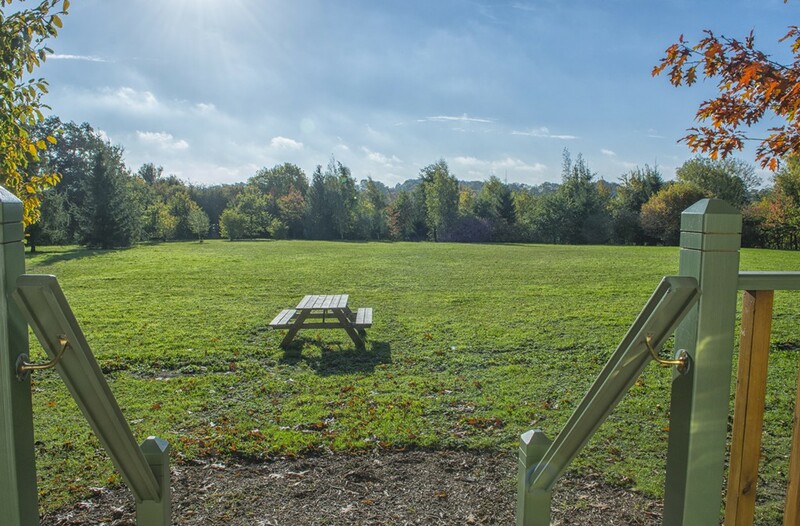 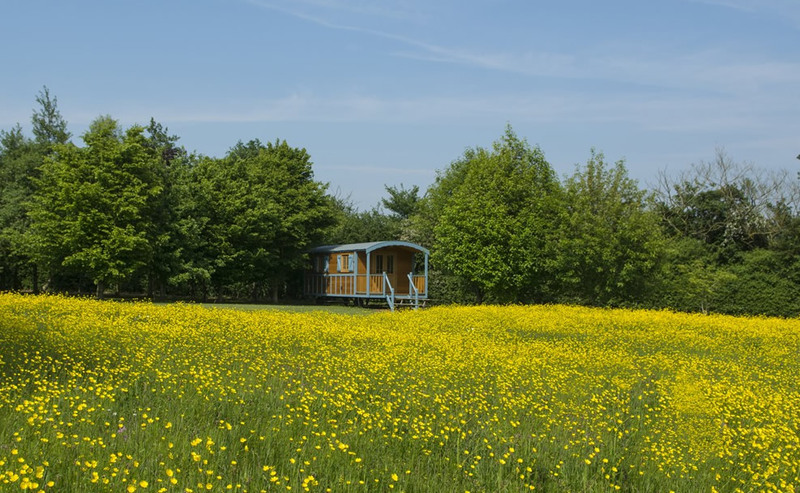 The generous, externally lit balcony area is covered, ideal for late night star gazing, wildlife watching or just plain relaxing, whatever the weather. 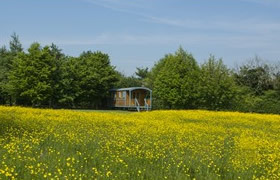 Each caravan has a picnic table and Weber charcoal BBQ - perfect for relaxed alfresco dining. A tea tray with homemade cake or scones welcomes you to your Caravan, along with a complementary beverage. There's milk in the fridge, half a dozen eggs (when our hens are laying!) 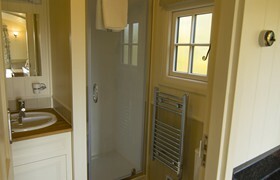 and shower gel, shampoo, soap in the bathroom to get things going. 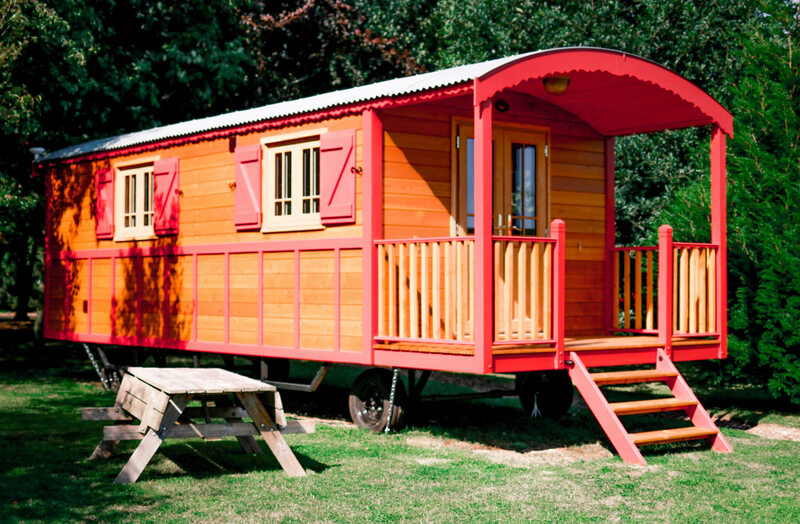 A 'Grande Roulette' French Gypsy Caravan holiday captures all the charm of horse drawn caravans without compromising on luxury and comfort. 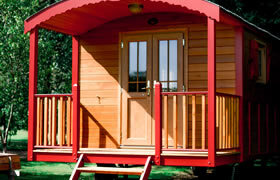 Please be aware our caravans are not wheelchair accessible as they have five steps up to the door. Sorry no dogs are allowed because of possible disturbance to wildlife. 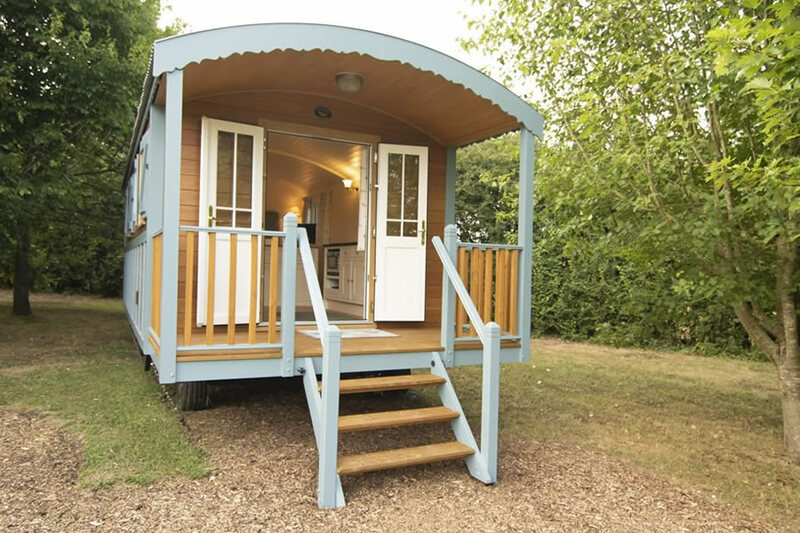 This spacious family size caravan sleeps 4. 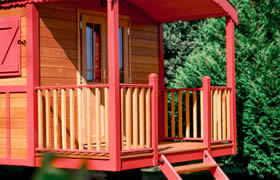 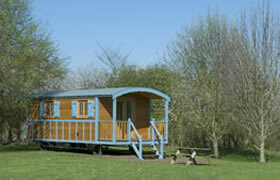 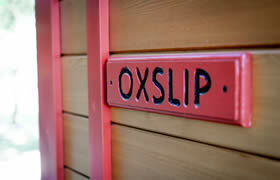 It has a fixed, full size double bed and two day seats which can be used as extra single beds. 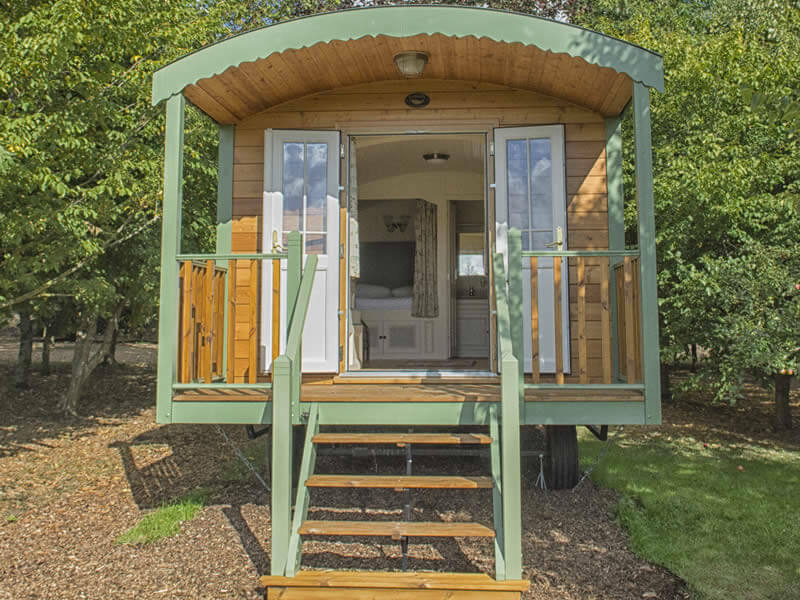 This spacious caravan sleeps 2. 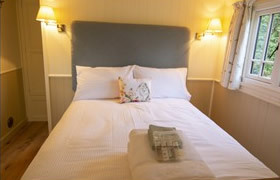 It has a fixed, full size double bed. 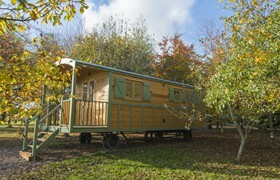 Our latest caravan, Poppy, has just arrived and we are getting it ready for the Summer season. 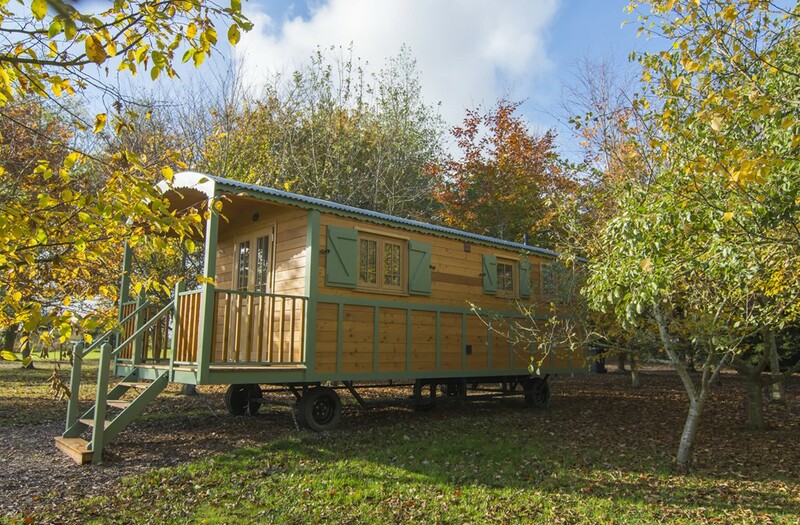 Be the first to stay in this beautiful 2 berth la Grande Roulotte. 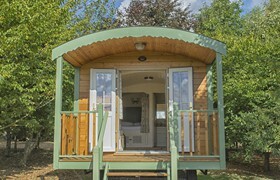 Be the first to stay in this beautiful 2 berth la Grande Roulotte.